Contact humansocietyis1@gmail.com to set up a phone interview if you are interested in this program. meaningful change in your life and in the world? Come to Eugene, Oregon, this spring for a month long intensive experience participating in a community of your peers embedded in a neighborhood spiritual community that is engaged in social change and committed to environmental resiliency. Ananda Seva Eugene’s Yoga Life Training will challenge you to integrate body, mind, heart, and spirit in service to all living beings…and empower you with knowledge, skills and vision for finding and expressing your personal dharma in the world. Experience support for developing your asana practice with guest teachers from different traditions. Experience the deep wisdom nature has to offer and practice cultivating the gift of listening to the song of your soul. 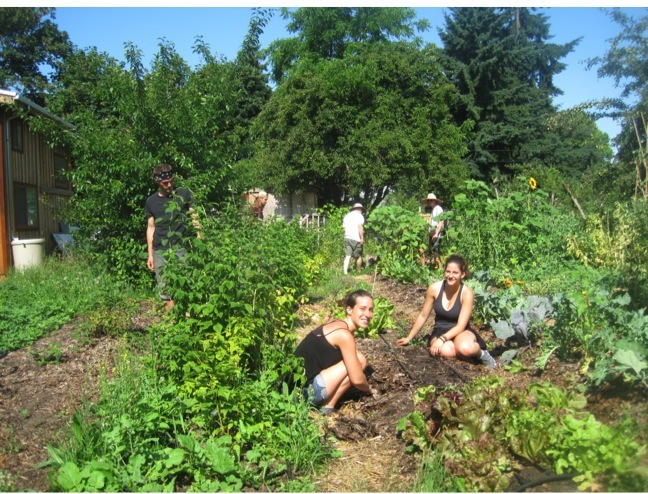 Garden to Table Experience harvesting your food and preparing fresh organic meals for the community. Acharya Ravi is co-founder of Dharmalaya. He is the principle author of PROUT: A New Paradigm of Development. He has written on ecology, economics, social theory, history, and yoga philosophy. He has the title of acharya, one who teaches through example. He teaches meditation and yoga philosophy and has been practicing meditation for 40 years. Ravi brings a depth of wisdom to the Yoga Life Training program, teaching everything from gardening to social change theory. He lives at Dharmalaya where he is raising a daughter with his wife Michele. Michele is the Co-founder of Dharmalaya. In addition to running the center, she has been teaching high school social studies courses for 19 years. She is the community coordinator for the Dharmalaya meditation group and the mother of an amazing teenage daughter. 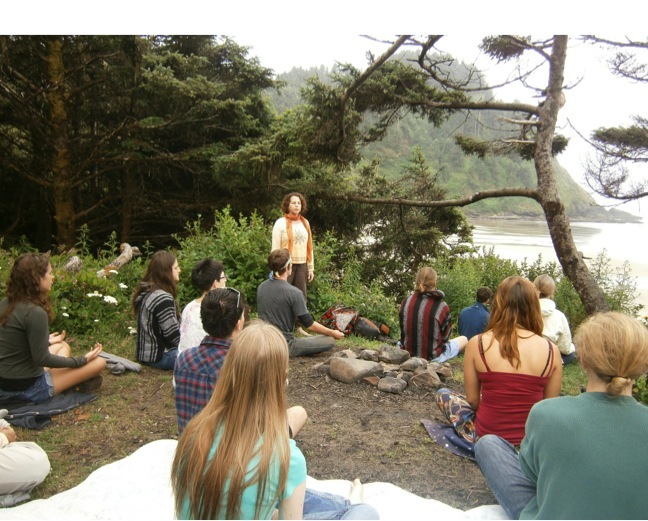 Michele coordinates the Yoga Life Training program, teaches classes on community building and leads a vision quest at the ocean for the Yoga Life Training participants. Additional staff includes volunteers from the Ananda Seva Eugene community as well as the Eugene yoga teachers community. 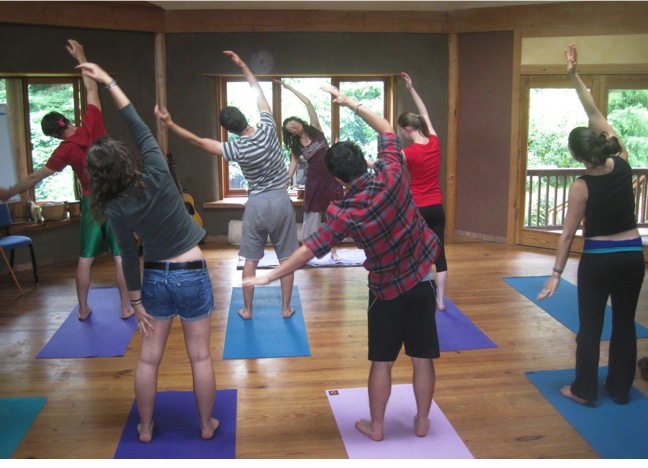 Program InformationYoga Life Training is a residential work-study training designed to give participants the opportunity to develop themselves through yogic practices and acquire skills and vision to effectively serve living beings with love and compassion. This training is profoundly transformative. In this program, students learn individual meditative practices for their personal development, as well as receive classes each week in yogic teachings and paradigms for sustainable development. 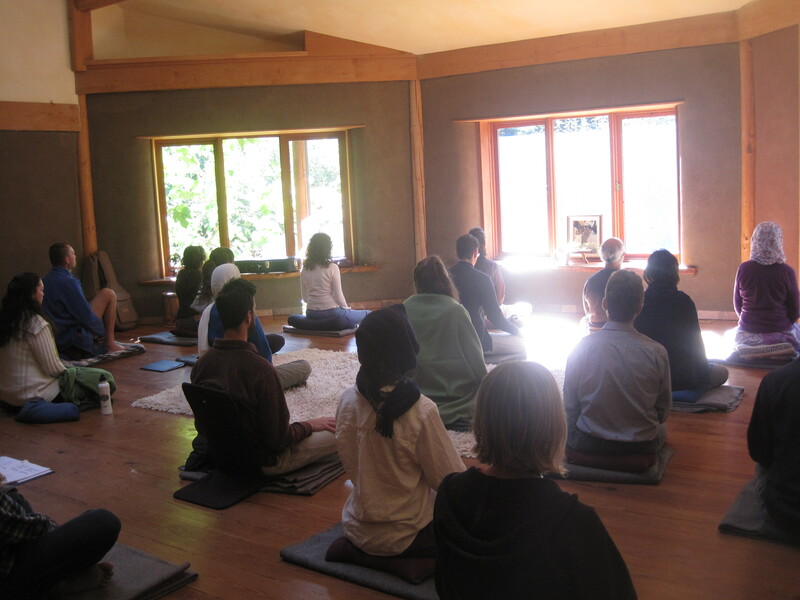 There will be collective meditation twice daily, chanting, yoga posture sessions, daily check-ins, and study times. Participants will have an opportunity to meet periodically with their meditation teacher who will review their progress and support them in the development of their practices. 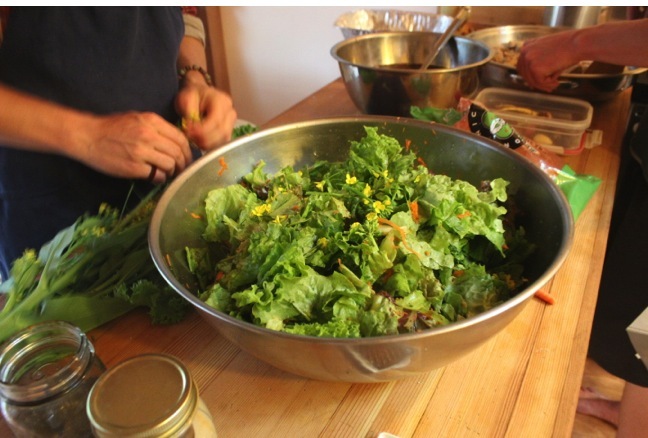 Residential trainees live in community – eating, working and practicing together. Participants in this program are required to maintain a daily yoga and meditation practice, eat a yogic diet, observe facility guidelines, participate in facility maintenance, and observe the daily schedule. They typically harvest/purchase and prepare their food collectively. 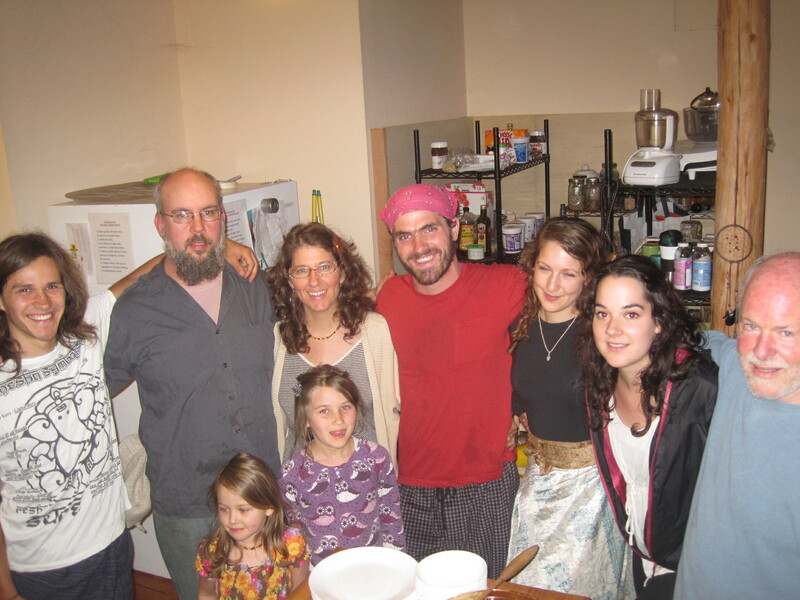 And they participate in 20-25 hours of weekly structured seva activity at Dharmalaya or in the broader community. Graduates of the YLT program may be given priority consideration for placement in our summer Community Transformations program. They also have standing to enter our Advanced Level Yoga Life Training, which better prepares aspirants for higher-level trainings. This course draws on the talents of several meditation and yoga teachers in the Dharmalaya community, as well as webinar instruction from yogic acharyas living outside Eugene. Use is made of inspiring and enlightening instructional materials originally developed for higher trainings. We are able to take 6-10 trainees in this program. See http://www.dharmalaya.org for further information. A resume of lead trainer, Acharya Ravi’s, extensive background in yoga trainings and instructor roles is available upon request by contacting us.